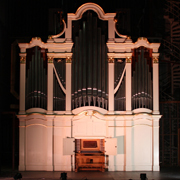 Software model of Yokota Centennial Organ of Chico State University. 6-channel Surround. No encryption, plain wave format.